While you’ve learned all about working in Dubai and other parts of the Middle East from previous interviews, we haven’t focused on recruiting much – until now. The interviewee you’re about to hear from went from spotty A-Level performance and low first-year university grades to multiple bulge bracket offers. How to apply to both London and Dubai, and how different banks recruit in both places. The key differences in the recruiting timeline and interviews. Whether or not networking “works” – and the best way to break into Dubai if you live halfway around the world. What to do if you’re already working full-time and want to move to the Middle East. Q: You mentioned you had poor grades and A-Levels – what exactly was your background? And what was your connection to Dubai? A: My only connection to Dubai is that I was born in the Middle East and knew a little Arabic – but other than that I had spent my entire life in the UK. My story began before I ever reached university, when I failed every single A-Level after my first year studying for them – and in the UK if you don’t immediately pass those exams after 2 years, few target schools will accept you. Part of it was because my parents wanted me to do medicine, which I had no interest in. So I switched schools, and then changed my A-Level subjects to math, business, and I.C.T. instead, and passed those after 2 years with average results. But by then I had taken 3 years altogether just to pass my A-Levels, so things weren’t going so well. Then, after I got into a university here, I didn’t enjoy my courses and didn’t really know what I wanted to do with my life. By the time I had figured out what career I was chasing, I was 3 months into my course at university but knew something had to change. I knew that getting first round interviews at banks would be incredibly difficult because of my A-Level performance, lack of experience and being based so far away from any sort of networking hub such as London. Q: At this point I would tell someone, “Study harder or start networking like crazy to have a shot at breaking in.” What did you do? A: Neither one – I decided to change universities yet again, and got accepted to a different school by improving my A-Levels one more time. So now I had spent 4 years just getting my test scores up to a reasonable level. This time around, I moved to London and completed all my classes there because I knew how important networking was. I met lots of people in finance there, including some fairly high-up senior bankers at global firms – just from being out and about and chatting with people. Q: Let me stop you right there because that sounds a little unbelievable – you networked with bankers just by bumping into them in bars and such? A: It may sound ridiculous, but keep in mind that there’s an extremely high concentration of banker and finance-types in London, especially when you’re close to The City. So if you go out or even go to events there, you’re likely to bump into bankers. It is random and it won’t always work, but I think you’d find a similar situation in other financial centers like New York and Hong Kong, and I’m not the only one of my friends that has had this experience. Q: Fair point; pretty much everyone I’ve ever met in Hong Kong has worked in finance. So you’re out and about, networking with all these bankers – what happened next? A: Toward the end of my first year at university I was offered a summer rotational internship, more on the markets side, at a global bank and spent 10 weeks there. I also did a spring week at a different bank and another spring week in the corporate finance division of a Big 4 firm. M&I Note: For non-European readers, a “spring week” is the opportunity to come in and shadow people at a bank for a few days – sort of like a mini-internship, but it’s more about how well you present yourself and network rather than your work performance, since you can’t do much real work. They’re most common in Europe (and pretty much non-existent in the US), but you may also see them in other regions. 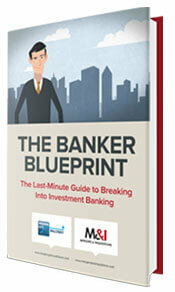 See our article on investment banking spring weeks here. Q: Right, so what was this internship like? A: They had no structured program for first-year students, so I did a rotation between equity capital markets, sales, fixed income trading, research, and more. I wasn’t doing much hands-on work – it was more just shadowing other people and helping them with random tasks. But I told them at the beginning that I was more interested in investment banking rather than markets, and made this point again at the end of the internship. They told me to apply online like everyone else – I wasn’t going to get special treatment just because I had completed this this internship, but completing it certainly gave my CV a huge boost. My decision to switch schools had paid off instantly. Q: Right, so let’s talk about how you applied for internships the next year. What was the process like and how many firms did you apply to? A: I applied to around 50 banks, ranging from boutiques to bulge brackets, with roughly an 80/20 split between London and Dubai. I wanted to hedge myself because I figured Dubai might be slightly easier to break into, but might also be more difficult since I wasn’t on the ground networking. I also knew that if I wanted to work in Dubai full-time, I would need an internship there to maximize my chances. I applied to a few banks in Abu Dhabi and New York as well, but the focus was definitely London and Dubai. Q: So when you say “applied to London and Dubai,” were you actually submitting separate applications to both offices? Or did London handle most of the Middle East recruiting? A: Many banks do their Middle East recruiting via London – so most of the time I was actually applying to London and just indicating my interest in Dubai on the form. And many banks start with in-person interviews in London first even if they’re recruiting for Dubai. It does vary a bit by bank, and a few bulge brackets (e.g. GS and CS) are actually regional and recruit through Dubai – if that’s the case, you can’t apply directly via London recruiting and you have to network your way into interviews instead (this is specifically for summer internships – GS does recruit for Dubai full-time analysts initially through London). For banks that didn’t recruit people directly, I just went through LinkedIn and looked up everyone I could find, and then sent my CV and cover letter directly to them. Q: So you did a mix of formal applications and networking with people via LinkedIn. But from experience, I know that contacting people online without talking on the phone or meeting in-person isn’t too helpful – so I’m assuming you also visited the region at some point? A: Yeah, I was just about to mention that. In London, universities like LSE and Imperial College conduct trips to Dubai and open them up to 6-7 different universities. On these trips, they go around meeting with different banks and you get to network as much as you want. Going on these university-sponsored trips to Dubai is the single best way to network your way into interviews in Dubai. It’s possible to get in without networking – one of the offers I won came from a blind application and simply getting through interviews – but your odds are much higher if you go there in-person for some investment banking networking. Q: Right, but what if you’re already out of school and working full-time? Or what if your school isn’t invited on these trips? A: There were actually a few people who had already graduated and still went on these trips with us, so it’s not much of an issue. And you can always find a way to go there even if you’re at a different school – just explain who you are, say you’re really interested in the region, and that you want to go along on their trip. There are so many students there that an extra one won’t raise eyebrows. Q: So if you want to work somewhere like Dubai, you pretty much have to go there and do some networking on the ground, in-person, and then leverage that to get interviews? A: Yes. You can get lucky and get offers without doing that, but to maximize your chances you really need to go there. Long-distance networking just doesn’t work that well – you build a stronger connection and come across as far more serious if you go there in-person. Q: OK, so you’ve applied to all these banks via networking and formal applications, and you’ve submitted your CV and cover letter. How are they different from what you might see in the UK? What are they looking for in Dubai? A: The biggest difference is that they want someone with a genuine commitment to the region. A lot of people want to go to Dubai just to avoid taxes, and they can see right through that – if they look at your CV and have no idea why you’re interested in Dubai, you’re out. Your reason could be anything: maybe you have family in the Middle East, maybe you were born there or studied there, or maybe you have friends there. I had an advantage since I knew the language and had a name that “looked” Middle Eastern, but anything could work if you’re creative enough. And if you have no connections to the region, get them – you could always just travel there on your own or go on a university-sponsored event like I mentioned before. Q: Right, so CVs are pretty much the same, but you must demonstrate some kind connection to the region. What about interviews? A: One difference is that you must apply early in London or you have no chance – summer internship applications open in September, and I didn’t submit mine until late October, which pretty much ruined my chances. 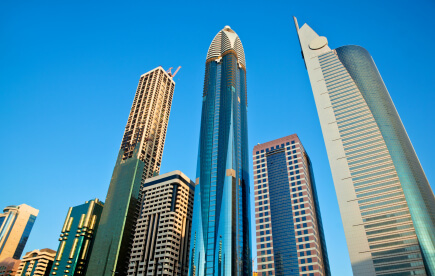 In Dubai, though, summer recruiting starts in April with the exception of the banks that let you apply there directly via online applications for their EMEA recruitment (e.g.UBS and Citi). Bulge Bracket A: Had 2 competency-based interviews in the first round (with an analyst and associate), a second round with an associate and VP, a third round with a VP and someone from HR, and a fourth round with a VP and MD. The first round was over the phone, and all the rest were in-person at their office in Dubai. Bulge Bracket B: The first round was a mix of competency and technical questions, and then the next round was all competency and market awareness-type questions. I had 2 interviews in their London office for the first round, and then did 2 phone interviews with people in Dubai. And for the final round, I still went through an assessment center as you normally would in the UK. Bulge Bracket C: Overall they were more technical in the first few rounds, but the final round was mostly competency questions once again. In Dubai, they asked broader questions about everything from accounting to valuation to options, whereas in London they cared more about traditional topics. That happens because in Dubai, you are not placed into a specific group in most “investment banking division” internships and so you end up doing everything from ECM to DCM to M&A. But in London you apply to specific desks/groups, and so the questions are more straightforward and closer to the typical banking interview questions. Q: That makes sense – it’s interesting to hear how much more “random” Dubai internships are. What about the role of language skills? Do you think knowing Arabic made a big difference? A: Not really. I was in Dubai for weeks and didn’t even use Arabic when I was there – it did help with networking and building connections, though, since I could use it as evidence of my connection to the region. Only 2-3 banks said that Arabic knowledge was required, but I think it becomes more important at the senior levels (VP and MD). A big chunk of banks’ business comes from sovereign wealth funds, so you need the language to have a good shot at winning business. That’s not to say that you can’t get by without it; I just think it would make your life much easier at the senior level. Q: That’s interesting, because it contradicts what one of our other interviewees from Dubai said about a lot of business in the region being conducted in English – who’s right? A: It’s hard to say since I haven’t started working yet – but it’s also an issue of culture as well as language. One MD I met had worked in New York previously, and when he moved over as a VP he picked up on a lot of the cultural differences the hard way (e.g., you shouldn’t kiss a business partner’s wife’s cheek!). I don’t think you “need” the language to advance necessarily, but it’s a big help because it lets you bond with clients more effectively. Q: We mostly talked about bulge bracket recruiting – do boutiques have a presence there? Did you apply to any boutiques? A: There are some “elite boutiques” (Moelis, Perella Weinberg in Abu Dhabi, etc.) here, but only around 6-7 total. And none of them recruits into Dubai directly at the junior levels. So you’d have to find the name of a Partner at one of these places, and then contact him/her via LinkedIn or other means. It is much, much easier to work at bulge brackets here because many boutiques only have 3-4 bankers total in their Dubai offices – they don’t have a huge need for junior bankers when the office is that small. They would just outsource any technical/deal work to London instead. Q: You had quite a few advantages since you were still in school, went on this trip to Dubai, and had a connection to the region. But what if you have none of that and you’re working full-time – what’s the best way to break in? A: As I mentioned, there were a number of people with years of full-time experience who went on our trip, as well as grad students. So it’s always an option if you can take time off from work. If you’re already in banking and want to move to Dubai, it’s easiest to push for an internal transfer and go through your current bank. About half the bankers I met out there had come through an internal transfer. And if you really know no one in the region and can’t break in yourself, you might want to go back to school for a Master’s program somewhere in London, and then leverage that to network and go on these trips to the Middle East. Q: So you don’t think headhunters would work very well? A: I haven’t come across a single headhunter or recruitment agency that focuses on the region. Here, they really value direct relationships with people and meeting you face-to-face. You’re better off contacting bankers, traveling here, and meeting up with them in-person – headhunters aren’t that effective, and they’re even less effective if you don’t have full-time work experience. Q: What’s your view of Dubai in the long-term? Do you think they’ll ever finish all those buildings? A: Well, I’m definitely interested in living in the Middle East once again and going back to my roots. But recently things have picked up and that’s primarily the motivation behind my decision to build my career there. Investors seem to be regaining confidence in the Emirate (Just take a look at the triple oversubscribed Dubai bonds issues recently). There is still a lot of opportunity there and I certainly see people moving back and the city recovering. I think Abu Dhabi is a lot more sustainable in the short-term, and even if Dubai declines (which I doubt Abu Dhabi would allow), Abu Dhabi won’t be so affected. A lot of banks and sovereign wealth funds are also opening offices in Qatar, so that could be an interesting place to work in as well. Sovereign wealth funds are engaged in lots of cross-border activity and are literally buying up anything they can, and I can see that continuing for quite some time. In short, I’m optimistic about the Middle East as a whole and think there’s still a lot of opportunity there – over the next decade we will see many competitors in the region fighting to take over Dubai’s dominance, and competition is always healthy. Q: Very interesting to hear from an insider in the region (even if you haven’t started working there quite yet). Thanks for sharing your story! A: No problem; enjoyed the chat. 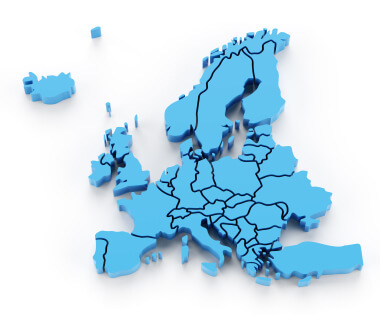 While you’ve learned all about recruiting in Europe before in places like the UK, Germany, and Italy, we’ve never done a direct comparison of what to expect in each region. Will you really have to go through assessment centers and similar interviews in each place? Are they only looking for locals or can you break in as a foreigner? What about language requirements and that all-important summer internship to full-time offer conversion rate? Today a reader who has recruited across Europe – and won 2 internship offers – will share his experiences and answer all those questions, plus a whole lot more. Q: Can you walk us through your background and how you first got interested in finance? A: Sure. I was born and raised in Italy, and after high school I studied business administration and completed a BSc in Finance from a non-target Italian university. During my 3rd year there, I took a few classes in corporate banking and first learned about investment banking, M&A, PE, and VC. The professor was great and we had several financiers as guest speakers – I was most interested in private equity and how they look for small and mid-sized enterprises (SMEs) to invest in. There are so many SMEs here that I knew there would be a lot of opportunity if I could break into PE. Q: So you tried to get into PE coming from a non-target university with no full-time experience? A: No, not yet. I looked for information online and spoke with the guest speakers in our class and learned that most people in PE had MBAs, that you had to know accounting very well, and that you had to do investment banking, consulting, or auditing first to break in. I knew I needed better access to recruiters and more accounting knowledge, so I looked for a 2-year MSc program in Accounting and applied to the only “target” university in Italy. I moved to Milan to complete the MSc program and then found out about summer internships in investment banking – but my chances weren’t good since I was from a non-target university, hadn’t studied abroad, had no relevant work experience, and didn’t speak a 3rd language. But I applied to all the banks anyway and ended up getting several interviews and assessment centers, and then won a back office internship in London – which I accepted, since I had no better options. I also figured that having a bulge bracket name on my CV would at least help me with recruiting in the future. After finishing that internship, I applied to both full-time jobs and internships (internships work a bit differently here) in investment banking in the UK and continental Europe, and went through recruiting in London, Milan, and Frankfurt, finally winning 2 internship offers. M&I Note: The audit to PE path is more common in Europe. It does happen in the US and other regions as well, but your chances are not as good unless you’ve done something like audit to Big 4 TAS first. M&I Note 2: While I’ve been critical of the back office in the past, it’s not the end of the world if you accept a back office internship. It’s more difficult to move from the back office to the front office if you’ve already accepted a full-time offer. Q: That’s quite a story – you must have had a great strategy for winning those offers, or at least something that made you stand out. A: In high school I wanted to play football full-time at first, and I had also worked as a sports journalist for a local newspaper before. That wasn’t prestigious, but it did give me something to talk about in interviews for my “interesting fact” – and I could reference that when they asked about leadership, managing stressful situations, and so on. 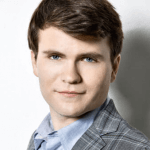 This story helped me get my first back office internship – I think the 2 IB internship offers were more about solid technical preparation, since I had focused on my corporate finance studies over the past year. Q: That’s a good one – much better than those interviewees who tell you that their “hobbies” are learning Excel or doing statistical analysis. So what was the recruiting process in these different cities like? Then, if you pass the initial CV / cover letter / competency question screen, you’ll get a first round in the local office (Milan in this case) and then the 2nd round in London, or maybe a phone interview and then the AC in London. With one bank I did the 1st and 2nd rounds in London and was then sent to Milan for the 3rd round since they ran out of spots in London, but that was the exception and not the rule. Bank A: Applied for the graduate program in London, did a phone interview, and then an assessment center in London (group work, then 3 interviews with 4 VPs). Bank B: Applied for the graduate program in London, did a 1st round interview there with 2 associates, and then also did the AC in London (business case and presentation to Director, then another 2 interviews with 2 other Directors). But then I was sent to Milan for 3 interviews with the local Directors there and also had to complete an Excel test as well. Bank C: Applied for summer internship in London and was then called and asked if I was interested in Milan – I did the 1st round in Milan with 1 analyst and 1 associate and then the 2nd round in Milan with 2 associates. Bank D: Applied for a 3-month internship in Frankfurt via email – they responded shortly after that, and I then completed 3 interviews in Frankfurt on the same day (with 2 associates and 1 analyst). Q: Awesome, thanks for sharing that information – I’m sure everyone’s recruiting experience is different but it’s good to have data on what to expect in different places. So it sounds like you didn’t do much networking to get any of these interviews? A: That’s correct – I did not do much networking. I already knew one of the VPs that interviewed me at Bank A because I met him during my previous summer internship, so I spoke with him in advance and asked about recruiting, how to best position myself, and so on. But then another guy won the offer from Bank A, so it wasn’t too effective for me. Q: What about CV differences? Is there anything that banks in Milan and Frankfurt care about but which offices in London do not? A: The overall structure of CVs is not that much different, but in local offices they tend to care more about your grades. In Milan and Frankfurt they asked me specifically for my GPA, while in London HR just scanned it quickly when screening CVs. Another difference is that for full-time recruiting, they pretty much expect you to have had a previous internship in investment banking – whereas for internships you can get in just by having strong technical knowledge and some kind of previous experience even if it isn’t directly related. All the candidates that received full-time offers in my final round interviews were former summer interns who had worked in IB at other banks. Q: Right, so standards tend to be higher for full-time interviews, and it’s tougher to break in if you haven’t had that IB internship before. What about the type of people who recruit in each place? How is that different, and what are the language requirements in those cities? A: Overall there’s the least amount of diversity in Milan because you must be fluent in Italian. So it’s mostly Italian students who end up there – either voluntarily or because they didn’t get into the London office. Most of these students are coming from schools such as Bocconi University, LUISS, Politecnico, or ESCP. In Frankfurt, they didn’t care about language abilities for internships. I don’t speak German but still won the offer there – but for full-time positions it’s different and I was told that you must be fluent in German to do investment banking there. In London you see the most diversity – people from all countries throughout Europe, Asia, and North/South America. Obviously there’s no language requirement there except for English, but language skills are still viewed very highly and you’d be at a disadvantage if you don’t speak other European languages. Q: What about differences with interviews? Did you find a different ratio of “fit” to technical questions, or were the questions themselves any different? A: Overall, I had the most technical interviews in Frankfurt. They asked pretty much everything you could ask: standard questions about EPS, accretion/dilution, synergies, the control premium, the liquidity discount, what happens post-merger, how to value startup and bio-tech firms, how to adjust for pension plans, leasing and IAS 17, stock options, derivatives, and more. They asked me to explain how a PE firm works, what the average debt-to-equity ratio in LBOs was, how to value a company, and then how to write down and change all the main items of a P&L, balance sheet, and cash flow statement. In Milan they also asked a fair amount of technical questions (Beta, WACC, DCF, multiples, etc.) but they didn’t go nearly as in-depth as they did in Frankfurt. They also asked a lot of questions about consolidated statements – what the financial statements for a parent company plus its subsidiaries look like and how to combine them. In London, the technical questions were the easiest – everything was pretty standard and consisted of questions you can find in most interview guides. They focused more on your background and how well you fit in with the rest of the team there. Q: Interesting – I’m sure we’ll get a lot of comments from readers there who experienced slightly different (or maybe significantly different?) interviews. Earlier you mentioned that you won several internship offers even though you’re set to graduate shortly and you said that internships in Italy are “a bit different.” How does that work exactly? A: In Italy we don’t have structured summer internships like you see in other countries. You might find them at a bulge bracket bank with local offices in Italy, but local banks here don’t have such programs. So 6 months before you graduate, when you’re writing your thesis and exams are over, you can apply for off-cycle internships. If you’re good enough to get in and do well there, they’ll just ask you to keep working after the internship, effectively turning it into a full-time offer. That’s much different from London, where you usually do the internship just before your final year and then you start full-time one year later. I don’t know what the exact “conversion rate” is in these 2 places, but your chances might actually be higher in Milan since pretty much all full-time bankers at local banks started out by completing post-graduation internships first. Another difference here is that some banks only want students who have already graduated when they search for interns – and the internships themselves last 6 months rather than 10-12 weeks. Since banks don’t have structured programs, they just post job openings on their website or on the business school careers page and you submit your CV and cover letter without completing competency questions or numerical tests or anything like that. You also see that for some international boutiques with offices in Milan, but it’s more common at local banks. Q: You mentioned before that you applied to both full-time jobs and internships but ended up with the 2 internship offers – do you think it’s harder to get full-time offers in Europe? A: I think in general it’s more difficult to get full-time offers because people with previous IB internships have a huge advantage, so Europe is no different in that respect. Q: I see; it’s definitely getting more competitive every year. 10 years ago the people applying to banks for full-time roles had far less internship experience. So what’s next for you? When do your internships start? A: Originally I was planning to complete one of my internships over the summer and then start the next one in September, before graduating in December or May. Recently, though, some personal problems arose and because of those I couldn’t join one of the banks in the summer – so I’m going to focus on my thesis for now. That would at least give me the option to move back into academia if I decide that I don’t want to do investment banking or can’t stand the hours. Q: Great. Thanks for sharing your story – I learned a lot! A: No problem, hope you enjoyed it. For even more practice with numerical, verbal and logical aptitude tests and assessment centers in general, check out Job Test Prep and all their test prep offerings. They have our highest recommendation for online tests and assessment center prep – and their courses are the single best way around to prepare for EMEA recruiting. While we’ve had some good stories from readers in London recently, there hasn’t been a solid overview of recruiting in the UK – until now. It would be easy to dismiss this and say, “Banking recruiting and interviews are the same everywhere!” – but that’s just not true. There are huge differences in Europe and Australia compared to the US (Asia, the Middle East, South Africa, and so on are somewhere in between), and you’re going to learn how to approach everything from competency questions to assessment centers and numerical tests in this interview with a reader who just won an IB offer in London. Q: Can you tell us about your background and how you broke into the industry? A: Sure. I went to high school in a North African country, then graduated from a top undergraduate business school in Canada, and then earned an MSc in Finance at a top university in London. I was 100% certain I would do investment banking, but I was never able to get an internship in the industry due to personal reasons. But while I was in school I did a lot of extracurricular activities and got exposed to financial modeling through my involvement in one of the biggest student funds in Canada. Even though I hadn’t completed an internship, I did a lot of research beforehand and was well-prepared for the full-time recruiting process at my school. I also speak 4 languages, which is very helpful in London as language skills are more highly valued here than in North America. Your online courses also helped me a lot and allowed me to talk about M&A deals and LBOs nearly as well as someone who had completed many M&A internships. Q: Great, glad to hear it. You’ve lived in so many different places that you must know how recruiting differs everywhere. Can you walk us through how recruiting in the UK differs from what you see in North America? You apply online by submitting your CV, cover letter, and competency questions, and then get selected for first-round interviews based on the strength of your application. If you do well, you advance to an assessment center (rather than the Superday interviews you see in the US) and you participate in group exercises, tests, interviews, and presentations there. If you do well, you receive an offer. In addition, you also have to complete aptitude tests (numerical, verbal, and reasoning) somewhere along the way in this application process. You might have to take them before you apply (Barclays and Credit Suisse), after your online application is screened (Deutsche Bank and UBS), or after you pass the first round of interviews (Macquarie). Some people underestimate these tests, but they’re extremely important – banks screen candidates based on the results, and often you get rejected not because of your CV, but rather because of your test results. If you pass the tests, recruiters will review your entire application once again and then decide whether or not they’ll invite you to interviews – the one exception is Macquarie, where you need to be successful in the first round to be invited to the exams in the first place. Q: Awesome, thanks for the overview and for mentioning the importance of these tests. I want to jump back into that, but one other question on recruiting at a high-level: it seems there are mixed opinions on whether or not you can just apply online in Europe and get interviews without networking. What do you think? Does that only work if you go to a top school or you get lucky? A: Networking is important, but not as important as it is in North America – in London students apply from all over Europe and also from other places like Asia. Networking at information sessions is incredibly difficult because 20+ students surround each banker and it’s almost impossible for them to remember each student. Unlike presentations in the US, information sessions here are aimed at students applying to full-time, internship, and spring programs (which allow 1st year students to spend 1 week at a specific bank) – since everyone goes to the presentations, the applicant pool is very large and it’s hard to stand out via networking. It’s still important to attend the sessions because some banks ask students who came to fill in an online form – that way they can see who’s serious about working at the bank. Q: You mentioned “competency questions” before – I’m sure UK readers are familiar with them, but for everyone else reading, what are they and how important are they? An individual bank might ask between 5 and 10 of these questions and the total word count for your answers might be around 1,000 words (perhaps more if they ask more questions). Sometimes the word count limits are much shorter as well – 50-75 words – which actually makes the questions more difficult because you must be concise. The questions themselves are as important as the rest of your application. Since the applicant pool in London is larger and more diverse than in the US, recruiters are more selective – or at least more willing to reject someone because of small problems in their application. Q: Do you have any tips on successfully answering competency questions? Let’s say you get a question on how well you’ve performed under pressure or with a strict deadline. How would you answer it concisely? Situation: We only had a few weeks left in our internship to deliver the project that the client wanted, and we were well-behind schedule. Task: Finish the remaining 50% of the project, when we only had 2 weeks left and the first 50% of the project took us 8 weeks. Action: I spoke to the rest of our team and decided which features were the most important to include and which ones would be time-consuming but not as useful to the client; we also leveraged the company’s resources and we found a lot of what we needed via contacts in other departments, saving us time and reducing the need to add more members to our team at the last minute. Result: Despite being behind schedule, we delivered 90% of what the client wanted by the end of the internship – it wasn’t the 100% we had set out to deliver, but they were very happy with the end result and ended up giving more business to the company. That’s just an example – in real-life you might add more details for the type of work you did, the company you worked at, and so on. But you must be concise or they won’t read your answer. The #1 mistake applicants make is trying to sound “creative” or original when answering these questions. Just be honest and give a genuine answer, based on a structure like the one I recommended above – they’re not testing your creativity with these questions, but rather how much you’ve learned from your experiences over time and how well you can articulate the key points. Q: Right, so it sounds like these competency questions are not much different from the normal “fit” questions you would get in an interview. What about the aptitude tests you mentioned earlier? Any tips on what you might see on those and how to prepare? A: They’re very similar to what you see on standardized tests such as the GMAT – the key is to practice as much as possible beforehand so that nothing surprises you. The biggest mistake you can make with these is “dramatizing” and over-thinking the answers – on timed standardized tests that is a blunder you can’t afford to make. They’re just like any other standardized exam: move as quickly as you can, skip anything you don’t know, and come back later to answer anything you skipped the first time. And make sure you go through at least a few practice tests before the real exam, as it’s easy to forget how to take standardized exams well if you haven’t practiced since high school. If you want the best practice around, sign up for the online aptitude tests and package deals offered on Job Test Prep. They have a bunch of free tests and their full courses are top-notch, with full score reports and detailed explanations. Q: How do you think interviews themselves in the UK differ? Do you still start by walking through your CV and answering the usual “fit” and technical questions? A: Yes, 99% of the time interviews still start with the famous “Walk me through your CV” question. But many of the interviews here are more “fit”-focused and do not go as in-depth on the technical side. Unlike the US or Canada, most of the interview questions in London are competency-based. In addition to your guides, I also went through every single behavioral question on this list and made sure that I could answer everything reasonably well. M&I Note: Before someone leaves a comment saying that you received a plethora of technical questions, your experiences may vary – I’m sure that some offices and groups ask more technical questions than others, and you’ll certainly have to demonstrate technical knowledge at assessment centers (see below). Q: So let’s say you get past the first round of interviews – what’s a typical assessment center like? How long does it last, how many people are there, and what types of exercises do you complete? A: I thought assessment centers were more “fun” and diverse than the standard interviews you go through. Usually everything is conducted in small groups (10-20 people) and the assessment center itself lasts an entire day, similar to a Superday in the US. Aptitude Tests (numerical, verbal, and reasoning): They do this to see whether or not applicants cheated in the first round with these tests – since they’re online many people get friends to help or look for answers on the Internet, which are both bad ideas. Individual Case Study: Sometimes you’re given a case study and are asked to analyze it and make a recommendation or decision within a fixed timeframe. Afterward you’ll have to discuss it with the recruiters. 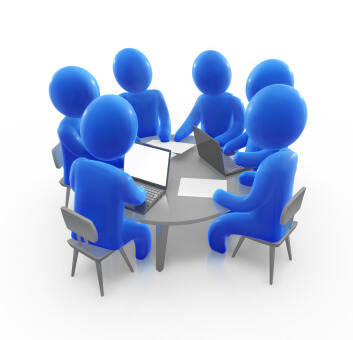 Group Presentations: Here, you’re split into groups of 4-6 people and the entire group gets a case study to complete. Recruiters observe you while you work on it, and then you must present your recommendations to bankers at the end. Interviews: Generally you go through 3-5 interviews, one of which is related to the group presentations and the individual case study – the other interviews are a mix of competency-based and technical questions. Some banks like to be more creative and will ask applicants to “role-play” – for example, interviewees might be asked to act as investment bankers representing the bank, while the interviewers pretend to be potential clients. Banks use assessment centers because traditional 1-on-1 interviews are not the best way to assess candidates – many people can sound impressive in a 30-minute interview, but fail to perform once they actually receive an offer. The exercises at an assessment center let them assess how well you’d work in a team, present to clients, and complete other tasks as a banker. You can read more about them on WikiJob right here. M&I Note: I think assessment centers are a great idea and that banks in the US should use them as well. Many senior bankers wish they could give candidates a 1-week trial on the job before giving them an offer, and assessment centers would be a good proxy for that. Q: That sounds more fun than standard final round interviews, though I can see how it could also turn into a bad reality TV show. What mistakes do candidates make at assessment centers that prevent them from getting offers? A: The main mistake is to act like a “leader” during group work and presentations. You might assume that banks only give offers to leaders, or at least to people who are giving orders – but that’s completely wrong. In fact, it can backfire and hurt everyone else if you try to do that. Recruiters notice this and won’t give out offers to anyone who keeps giving orders and trying to “show off” – that means you lack leadership skills. Meanwhile, other applicants try to talk a lot to stand out – but they don’t say anything meaningful or relevant. Rather than trying to dominate the group presentation and discussion, you should respect everyone else, listen to contributions from others, make good suggestions, and come up with solid solutions. You also want to show that you’re having fun and enjoying the experience rather than being extremely serious. I’ve seen applicants who have remained more quiet receive offers because they’ve respected everyone else and made solid contributions when needed – those who attempt to “show off” or do all the talking generally do not receive offers. Q: So let’s say you get a group exercise where you’re asked to analyze a company’s options – sell, acquire another company, or continue to operate as-is – and make a recommendation on what they should do. You have a few hours to prepare, and 30 minutes to present your findings. How would you approach that question at an assessment center? A: I had to work on a similar individual case study at an assessment center, but it was a bit shorter and they gave me the numbers, valuation, and a few DCF models. I started by giving a brief presentation of the company – their industry, history, and most well-known products – and then I walked the recruiters through the company’s past and current strategies. I mentioned a few relevant figures such as the EBITDA and P/E multiples as well. They had already given me the valuation and important figures such as the P/E multiple of the combined company post-acquisition, so all I had to do was show that the acquisitions in question were accretive. I concluded by benchmarking the strategies of each potential target company against those of the acquirer – in my case each acquisition was accretive, so it was more about the strategic fit with the acquirer and which one would produce the best combined company. Be logical – There are no correct answers most of the time, as the recruiters are just assessing how well you think and analyze problems. Focus on explaining your reasoning in detail rather than finding the “right” answer. Do not overcomplicate your presentation – Forget about fancy formatting, going through hypothetical scenarios, or adding complexities to the question. You are under extreme time pressure and do not have time to go into unnecessary detail. Be extremely structured in your response – Again, it’s better to be “boring” and follow a structure rather than showing off your creativity and confusing your interviewers. See the articles here on case studies and private equity case studies for examples. Overall, relax and don’t dwell on every little detail – they’re also testing your ability to improvise and discuss topics you’ve recently learned about because you do that all the time as a banker. Q: Great, thanks for all these tips and for sharing your experiences! A: No problem – happy to contribute.